Most young designers spend years trying to get celebrities to wear their clothing to award shows, where exposure to large audiences can drive sales and cement their reputations as brands to know. Kyemah McEntyre, Fashion Design ’19, was able to accomplish that feat as a high school senior. She captured the attention of millions of people when singer and actor Naturi Noughton wore one of her garments — the second dress she ever designed — to the 2015 BET Awards. 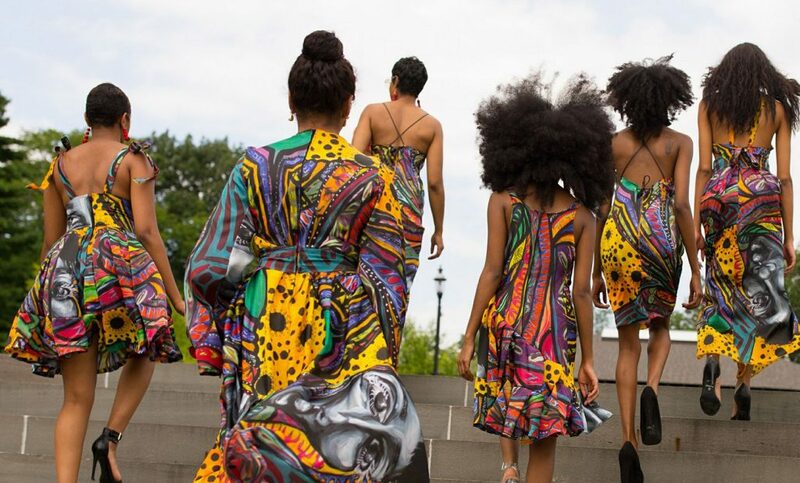 The career-making turn was a testament to the power of social media in bringing exposure to talented young independent designers: McEntyre’s first design, a dashiki-print prom dress she created for herself, went viral on Instagram, which is how Noughton found out about her. But above all, it spoke to McEntyre’s inspired individuality and embrace of Black identity. McEntyre, who has since designed for Tyra Banks and appeared at New York Fashion Week, feels right at home at Parsons School of Design. At the leading art and design school, students learn to create positive change through design — a theme that is woven through McEntyre’s work. McEntyre’s designs explore not only the complexity of Black identity in the United States but also sexuality. This is evident in the corsets and feminine sportswear she has recently designed. More broadly, she sees fashion as a way to rethink or highlight specific ideologies that define social categories such as sexual orientation, race, and class. McEntyre is in good company with other Parsons students and faculty members who address social justice issues. Myles Loftin, BFA Photography ’20, has been featured in the pages of BBC, Vice, and the Huffington Post for his photos that challenge stereotypes of black men, while Kia Benbow, The Arts ’16, uses photography to challenge the stereotypes of people who live with HIV. McEntyre’s work speaks to a community of people who have been underserved or ignored, which adds to the many reasons she found success even before she got to Parsons.